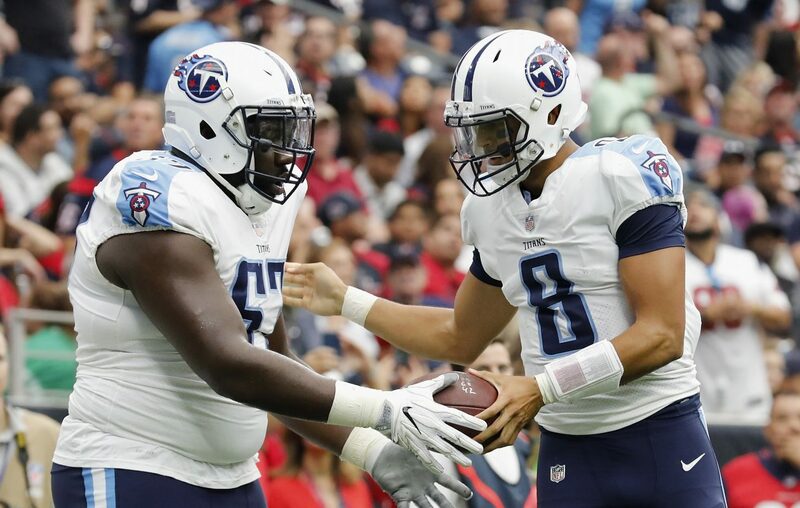 The Buffalo Bills Wednesday announced they agreed to terms on a one-year contract with free-agent guard Quinton Spain. The 6-foot-4, 330-pound Spain spent the past four seasons with the Tennessee Titans, who signed him as an undrafted free agent from West Virginia in 2015. He started 48 of the 50 games he played for the Titans. Spain, 27, becomes the third free agent the Bills added this offseason who can play exclusively or at least part-time at guard. The others are Spencer Long, who spent last season as a center with the New York Jets but has also had extensive experience at guard, and Jon Feliciano, who was with the Oakland Raiders. He is the sixth player the Bills have signed on the offensive line, joining Long, Feliciano, center Mitch Morse and tackles LaAdrian Waddle and Ty Nsekhe. According to Pro Football Focus, Spain was ranked at No. 35 among guards with a 62.3 grade. According to PFF, Spain allowed only one sack last year in 856 snaps and his pass blocking grade has been 75.6 or higher in each of his pro seasons. His run blocking has been less consistent. He was retained last season as a restricted free agent and made $1.9 million.